33. Time For Timer, The “Hankerin’ For A Hunk Of Cheese” character. TONIGHT! THE 100 WORST FICTIONAL CHARACTERS OF ALL TIME (PART ONE)! A few months ago we assembled a list called The Top 100 Fictional Characters Of All Time. I brought some names to the table, the listeners called in with tons of suggestions, and we had a great time. You can check the list out here. Tonight we will begin to assemble the evil twin to the Top Fictional Characters list. We will start to collect names for the list that documents the worst fictional characters of all time. Who and what qualifies as “the worst”? Jar Jar Binks? 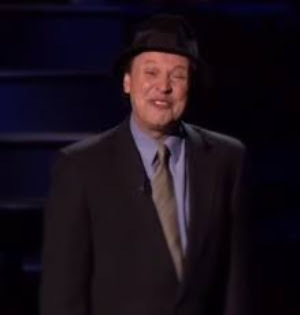 Billy Crystal’s “Jazz Man” character? John Goodman in FLIGHT? And will Lois from GOODFELLAS make it onto both the best and worst lists? (yes, she will). So get your suggestions ready and call up! The hashtag for the show is #Worst100 ! There are also a TON of things lined up for the show. There will be some S&W madness, AP Mike has something INSANE up his sleeve and we will have a special announcement from friend of The Best Show MIKE KROL! When is The Best Show on? From 9PM-midnight EST every Tuesday! You can listen live at TheBestShow.net and download tonight’s episode the following morning at the website or on iTunes or your RSS feed or wherever! TONIGHT! PAUL RUDD LIVE IN STUDIO! 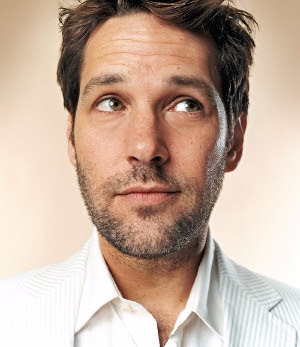 I am thrilled to announce that the amazing PAUL RUDD is coming by The Best Show studios tonight! Rudd is the star of so many great things and is a great dude and it's just gonna be great! We will talk about all sorts of stuff including his upcoming Marvel movie ANT-MAN! It will be one for the ages, don't miss it! The hashtag for tonight's show is #RuddBestShow! Use it on all the social medias you have! Let the world know about tonight's show! When is The Best Show on? From 9PM-midnight EST every Tuesday! You can listen live at TheBestShow.net and download tonight’s episode the following morning here or on iTunes or your RSS feed or wherever! 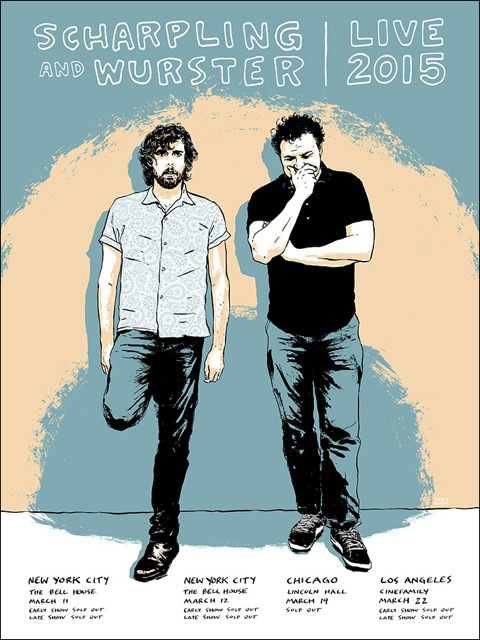 Scharpling & Wurster WEST COAST TREK – TICKETS ON SALE NOW! New Scharpling & Wurster TOUR DATES! Here we go again! Scharpling & Wurster are hitting the road and bringing their amazing show to the WEST COAST! All tickets go on sale this Friday 6/5 at 10am PST! TONIGHT! YO LA TENGO LIVE IN STUDIO! Holy moley! 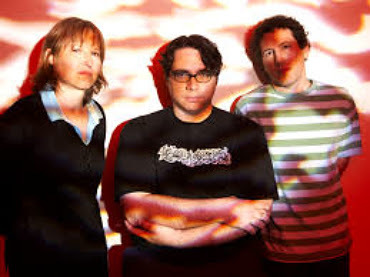 The amazing YO LA TENGO will stop by The Best Show studios tonight! They’ll be talking about their new album STUFF LIKE THAT THERE and we will play a couple tracks from this new album and talk to them about everything that we can think of! It’s gonna be great! And there will be the usual Best Show fun that you’ve come to demand! Don’t worry – the laff quota will be met! We'll also announce new Scharpling & Wurster LIVE DATES tonight! Don't miss it! TONIGHT’S SHOW: MOLLY SHANNON! MOLD TOMMY! MORE! Hey everyone! It’s Tom Scharpling, just posting to say hi and let you know what’s happening in the world of The Best Show and Scharpling & Wurster. Tonight on The Best Show the one and only MOLLY SHANNON will be calling in! She’ll be talking about her new movie ME & EARL & THE DYING GIRL (which will be screening at the Montclair Film Festival on May 9th!) and all sorts of other things throughout her awesome career and life. It’s gonna be great! The Best Show is live from 9 PM- midnight EST and can be heard live at TheBestShow.net! Tune in, it’s gonna be awesome! And as a constantly evolving person, I am looking to be exposed to new things. Books, movies, TV programmes – whatever! So if you’ve got some idea of what I should be checking out, call me at 201-332-3484! I will settle on one thing and check it out and talk about it next week! And the hashtag for the show is #MoldTommy! Because you’re going to be molding me by giving me good things to check out. IMPORTANT ANNOUNCEMENT ABOUT TONIGHT’S BEST SHOW! This week The Best Show will NOT be live at 9 PM as normal. But there WILL be a new Best Show! It will be released as a podcast on Wednesday morning! So spend tonight with your loved ones and get ready for an all-new Best Show tomorrow morning! You can download it at the usual places, either on iTunes or yourRSS feed or over at TheBestShow.net! Trust me, this one is gonna be great. Lots of fun and surprises lined up! So don't miss it! And you know we've been dropping new shows on Fridays, whether it's BEST SHOW BESTS: THE BEST OF THE BEST SHOW or THE HALF HOUR OF POWER. This week will be no different, but get ready for the premiere of an all-new show! What is it? You'll find out on Friday!!! TONIGHT’S SHOW! JAKE FOGELNEST LIVE IN STUDIO! Hey everyone! It’s Tom Scharpling, just dropping you a line to say hi and let you know what’s happening in the world of The Best Show and Scharpling & Wurster. 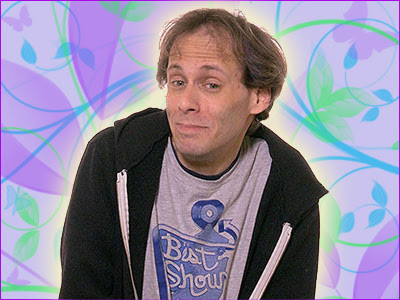 I’m thrilled to welcome the one and only JAKE FOGELNEST to the Best Show studios! Jake has been insanely busy, working on the WET HOT AMERICAN SUMMER series and DIFFICULT PEOPLE with Julie Klausner and BILLY ON THE STREET and other stuff! We’ll catch up with him and have a great time. You would be a fool to miss it! THE TOPIC FOR THE SHOW is WHO HAS THE WORST CELEBRITY IPOD? Is it Kurt Sutter? Danny Aiello? McG? We will figure it out tonight! Call in and tell us who YOU think has the worst celebrity iPod by calling 201-332-3484 during The Best Show! And when is The Best Show on? From 9PM – midnight EDT every Tuesday! You can listen at TheBestShow.net! And the hashtag for tonight’s show is #WorstCelebiPod! SCHARPLING & WURSTER LIVE POSTERS ON SALE NOW! Scharpling & Wurster sold exclusive posters illustrated and designed by the amazing Casey Burns at the live shows in March. There are a few posters remaining, and we are making them available to you via mail order! The posters are SIGNED BY TOM SCHARPLING, JON WURSTER and CASEY BURNS! And when they’re gone, they are gone forever! Order your poster at the Stereolaffs store now! Unfortunately we can only sell them in the US. Sorry!